the adventures of tartanscot™: "Please Stand . . . "
Please stand and repeat after the brilliant Billy Baldwin . . . . 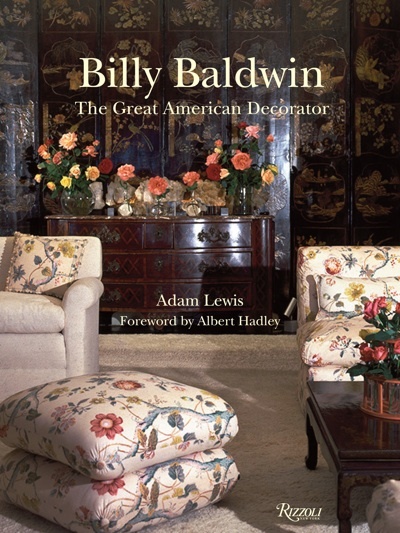 I had the great pleasure of attending a lecture on Saturday morning with Adam Lewis - as he shared images and memories from his amazing new book, Billy Baldwin - The Great American Decorator. I strongly encourage you to add this beautiful book to your design library. 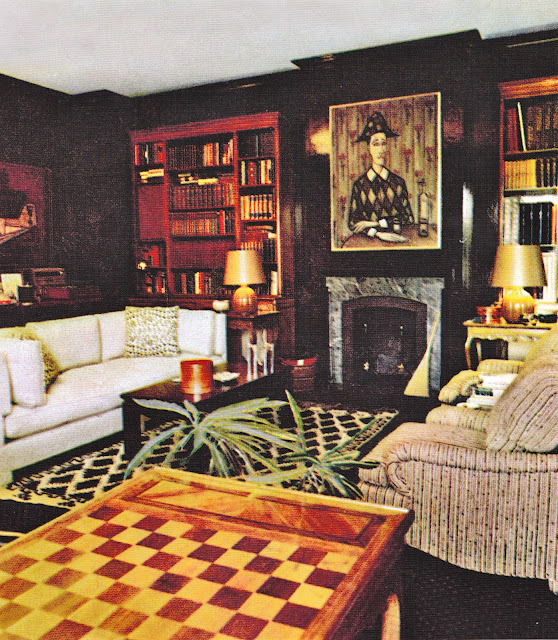 all images from Billy Baldwin, The Great American Decorator. I agree with Mr. Baldwin. I KNOW! Isn't it simply beautiful! Hi Scott...I've been devouring this book with great relish and can't put it down. And yes, I agree with Billy 110%! Books give a room life and personality. Great post! Could not agree more! And the Baldwin book arrived a few days ago to take its place on one of the tall shelves. Love the brass shelves that he 'invented'. Still 'smart' after all these years. Great post! I totally agree! My problem is I have more books than shelves, if that really is a problem. I remember reading, "like 500 years ago! 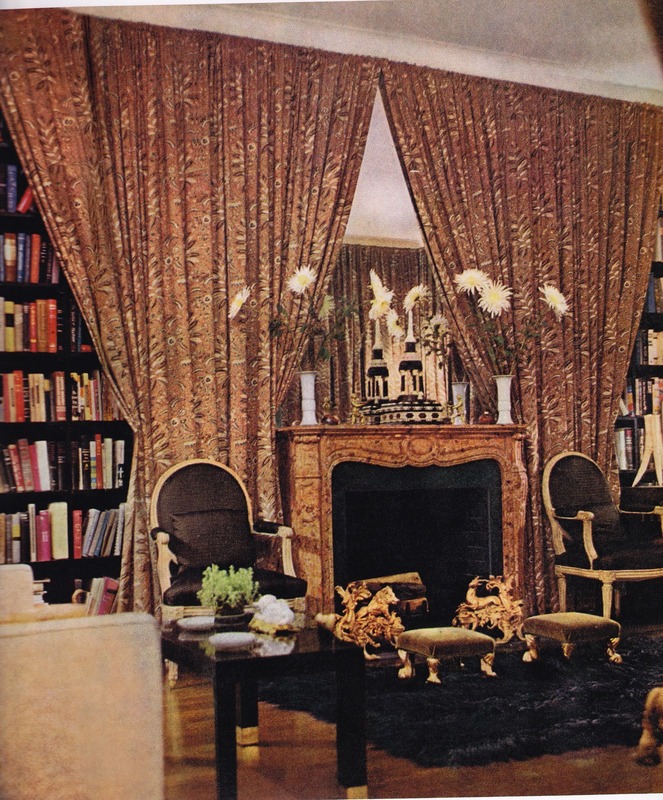 ", IN that above mentioned first BB book, that he designed those bookcases for Cole Porter... 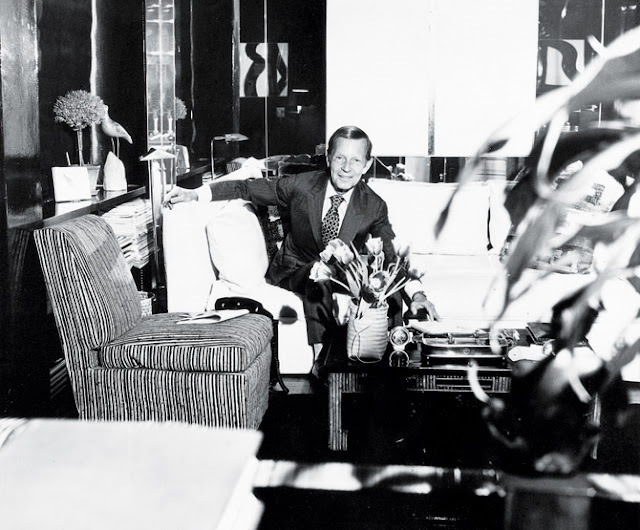 I also remember him saying something to the effect that CP wasn't a "fussy" guy, and he did NOT want, for examples, SLIPCOVERS on his PIANO!!! I've always remembered that with a warm smile... and the bee chest?...given to him by who, Ruby Ross?, who said he was always running around like a busy little bee, so she bought the bee chest JUST FOR HIM!! I sure wish he knew HOW MUCH so many of us had thought of him... his great talent.. his wonderful sense of humor... his SENSE of "wonderful" in general!! 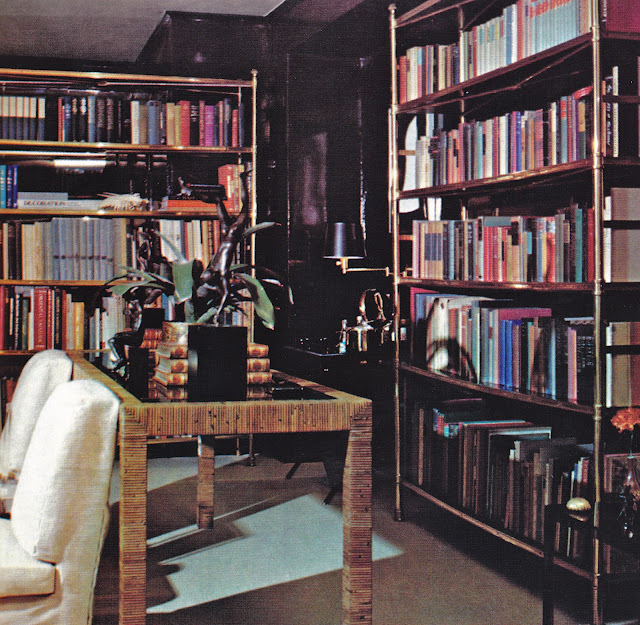 Soon to be the best decoration in the world is a room full of invisible books. As we expand our e-books and digital libraries. What a design concept in virtual reality. Isn't Adam the best!!! He did a lecture in Baltimore a few weeks ago and it was riveting. Couldn't agree more! My bookshelves are already filled to bursting but I still dream of more shelves and more books. You simply cannot have too many as far as I'm concerned!